In case you didn’t notice, and I am sure you did, but for those that didn’t, Twitter kind of blew up over the weekend thanks to an eagle eyed reader of the Argos catalogue named Brett Thake, (@Chromonian on Twitter) who did us all a huge favour by spotting an advert for the highly anticipated and yet-to-be announced DJI Mavic 2 drone in an Argos catalogue of all places. For our US readers, Argos is a popular UK catalogue retailer that sells all sorts of household items and electronics. The “unintentional” leak in the form a full blown advert confirms that DJI will soon announce 2 new models of its super popular and portable enthusiast drone – the DJI Mavic 2 Pro and the DJI Mavic 2 Zoom. The company had a press event scheduled for July 18th, which was postponed at the last minute. This same event was to be the place for the the rumoured announcement of the new DJI Mavic 2 drone(s). Here is another tweet from Brett Thake showing the DJI Mavic 2 in the Argos catalogue. 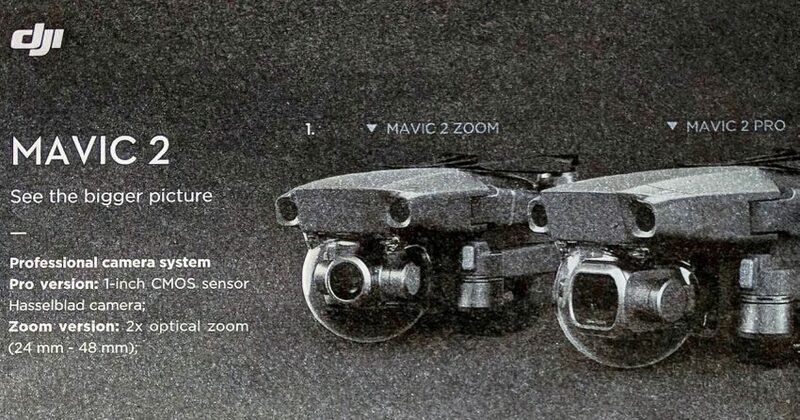 The DJI Mavic 2 Pro, according to the advert, is said to feature a new 1-inch CMOS sensor “Hasselblad camera”, while the “Zoom” version of the Mavic 2 will have a 2x optical zoom 24-48mm lens. You may recall that DJI acquired a majority stake in the legendary Hasselblad last year, so this new 1-inch CMOS chip may bring some of that Hasse-magic to the newest DJI enthusiast drone. According to major tech outlets The Verge and CNET, DJI have confirmed the authenticity of the advert and that there will be indeed a new Mavic 2 drone in two version in an email to CNET when the drone makers were asked for confirmation – see CNET article here. Apparently, DJI did not have enough time to pull the ad from the printed Argos catalogue before they decided to re-schedule the announcement event. Although no pricing is mentioned in the printed advert, there are a few highlights of the new drones, such as 8km (about 5 miles) range, 1080p live feed, 31 minutes of flight time and omnidirectional obstacle sensing systems to help you avoid crashing your new drone. 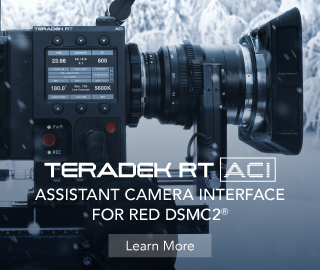 DJI has not yet confirmed a re-scheduled date for the official DJI Mavic 2 announcement, and although the ad makes no mention of 4K recording, I am sure it will have it. I’ll share more news and findings as they arise in due time. Until then, if you really want to get the current Mavic Pro and want to save some $$$ in the process, you can get the Mavic Pro Fly More Combo with Case for $300 less at B&H. Deal ends tonight at midnight tho. Browse other DJI Mavic deals here.